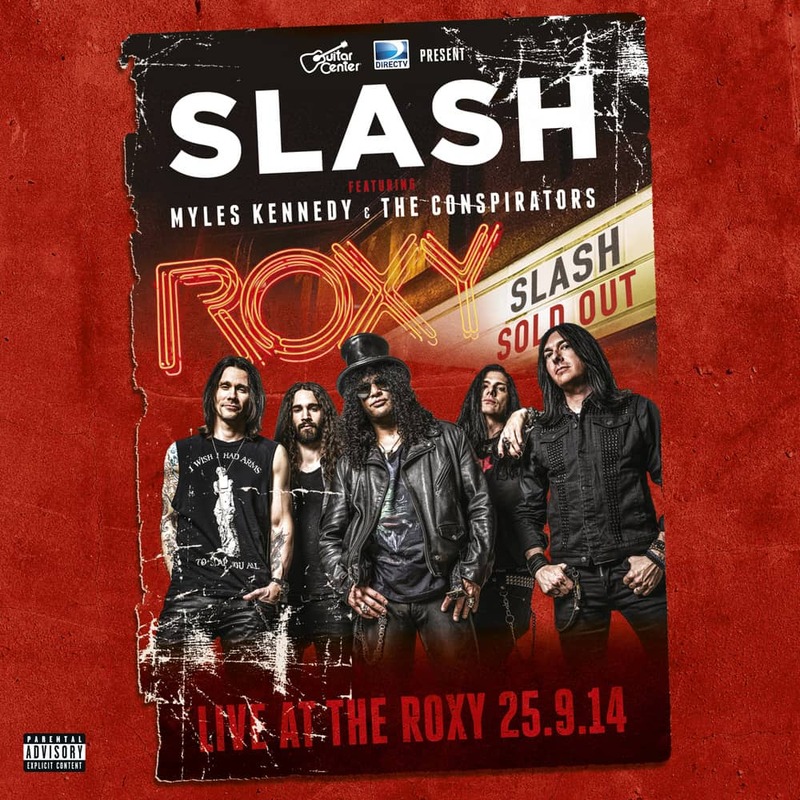 On September 25th, 2014, shortly after the release of their “World On Fire” album, Slash together with Myles Kennedy & The Conspirators climbed the stage at the legendary Roxy Theatre on Sunset Strip in West Hollywood. The atmospheric venue, steeped in rock history, gave fans a brilliant opportunity to see the band up close as they delivered a set that covered recent solo tracks, including several from the new album, and classics from Slash’s earlier career with Guns‘n’Roses and Velvet Revolver. The intimate setting inspired the band to deliver a scintillating, dynamic performance that is brilliantly captured on this LP set.